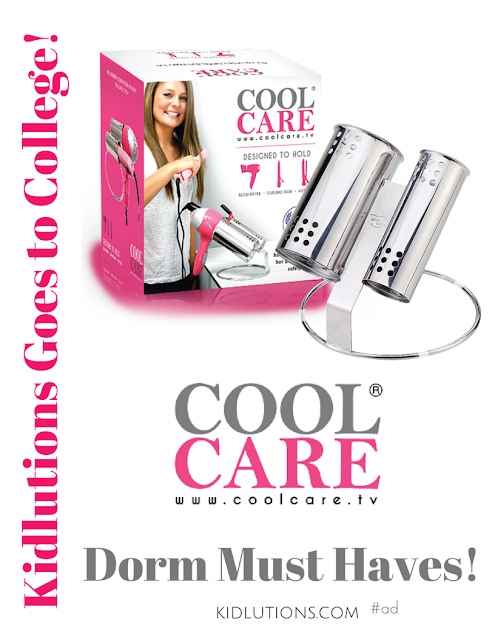 Back-to-school time means off to college, too! With college comes dorm-life and a list about a mile long of "needs" for the new co-eds. Along with rugs and pillows, XL twin sheets, a mini-fridge and a shower bucket, you won't want to overlook a key safety item that looks pretty cool, too! Recently, one of our college reviewers took the Cool Care for a test-drive. "I love that I can keep my heated appliances up and off my dresser, without fear of melting or scorching things around them. My cords don't get tangled up in other things. Best of all, I can get ready in a flash, and put everything back the holder, without fear of leaving a hot iron behind when I jet off to class. This looks great on my dresser and frees up room for my other essentials. Because it's portable, I don't have to put any holes in the wall (a no-no in the dorm) and can take it with me from year to year. There's plenty to stress about in college. This gives me one less thing to worry about, so I can focus on other things. I LOVE the Cool Care!" The creator of the Cool Care, Rick Alexander, developed it out of a need to keep his own family safe. His 3-year-old son was badly burned by a curling iron that was on a counter. His invention was developed to keep his son, and countless other children safe from a common household hazard. It's not just kids who get burned by heated appliances: it affects adults and our furry friends, too. Several years ago, a family that lived nearby us lost their home and everything in it when it burned to the ground. The cause? A curling iron that was left on and ignited something nearby. Though I cannot say for sure, it is quite possible their story may have ended quite differently, had they used a Cool Care. 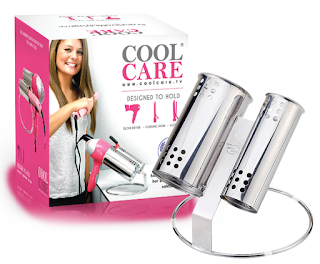 For safety, convenience, aesthetics and ease of use, you can't beat the Cool Care. We love it just as much as our college reviewer does! 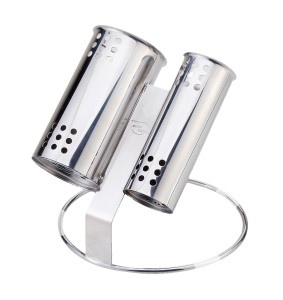 Want to get your product in front of a cool couple million? Check out our Media Kit and contact us for more details. We love to spread the word about family-friendly products.